Small Business Outlook for 2012: Business as Usual? 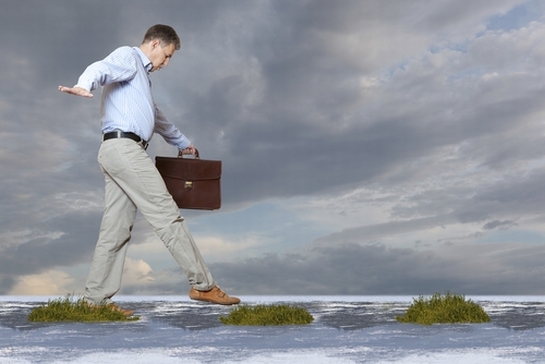 As 2011 draws to a close, what are the biggest challenges small business owners are facing? And what is their outlook for the coming year? A new survey conducted by online survey company Zoomerang Online Surveys and Polls and my company, GrowBiz Media, creates a mixed picture. Overall, the survey found SMBs in a “holding pattern,” with many seeing little growth this year and planning few changes for the next. However, there’s also some positive news: “Many small businesses are optimistic about 2012 despite economic challenges in 2011,” says Alex Terry, general manager at Zoomerang Online Surveys and Polls. Overall, the biggest challenge in 2011 for SMBs was growing their customer/client base, with 44 percent of them citing this as their biggest concern. Close behind, budget constraints and customer or client retention were both cited by 32 percent. Simply “staying in business” was a key challenge for 27 percent of the SMBs, with 20 percent indicating that “local competition” was a major issue. Less of a concern were communications/marketing/PR, cited by 11 percent, and technological innovation, internal employee retention and internal employee growth, all of which were cited by only 9 percent of the SMBs. Clearly, small businesses are feeling stiff competition for customers and clients. But with the economy still rocky, they are less worried about keeping their employees on board (which could prove to be a mistake). How did the SMBs in the survey think their companies fared in 2011? The worries about competition are founded in reality with less than half (44 percent) saying business development held steady this year, and 27 percent reporting losses. Just 14 percent experienced biz dev growth. Overall, most areas of business performance remained the same. This “holding pattern” is reflected in small business owners’ plans for 2012. Sixty-four percent have no plans to diversify their businesses in 2012; 74 percent did not plan to narrow their business focus. The response suggests that 2012 will be “business as usual” for SMBs still wary of taking too many risks (which also could turn out to be problematic). The economy has “negatively affected” the business of nearly two-thirds (61 percent) of the SMBs this year. One-quarter were not negatively affected (perhaps because they have learned to handle the ups and downs of the last few years), and a lucky 11 percent claim the economy had a positive impact on their businesses.. Heading into 2012, SMBs will continue to focus on the challenges that occupied them in 2011. Specifically, their key areas of improvement will be customer/client growth (60 percent) and customer/client retention (38 percent). As a result, the top areas where SMBs plan to spend are marketing (35 percent) and sales (28 percent). When it comes to innovation and risk-taking, however, the outlook is ho-hum, to say the least. Just 15 percent will focus on technology innovations, a mere 9 percent say geographic expansion is on the horizon, and only 21 percent are even planning to expand their product/service offerings. Nearly one in five (19 percent) say they will make no new investments in their business in 2012. The lack of innovation troubles me somewhat. I know times have been extra tough, but you cannot grow if you keep treading water. It might be time to dive in and test the waters. The highly indebted Bulgarian State Railways BDZ are losing BGN 120 000 (appr. EUR 60 000) daily from the ongoing railway workers strike, BDZ CEO Yordan Nedev has revealed. The daily losses of BDZ Passenger Services, one of the three subdivisions of BDZ, whose workers have been on strike for seven days now, amount to BGN 100 000, the company CEO said. Lothar Matthaeus, Bulgaria’s former national football coach is still in disbelief as to the reason why he was fired by the country’s football union two months ago. “I believed I would be working longer in Bulgaria. That is what we had discussed with (President of the Bulgarian Football Union) Borislav Mihaylov three or four months ago when we played against Belarus,” Matthaeus told Bulgarian reporters on Wednesday. The first round of negotiations between the Bulgarian State Railways BDZ and the syndicates over the ongoing strike has failed to produce an agreement. Bulgaria’s railway workers have been on strike for seven days now, rising against a government plan to lay off 2000 out of the more than 13 000 BDZ workers, and to stop from operation some 150 trains. The syndicates have also protested against the planned privatization of the only profitable devision of BDZ – BDZ Freight Services – and have been demanding the signing of a new collective labor contract. Overgas Iztok AD, the gas distribution subsidiary of Bulgaria’s biggest private natural gas supplier, has registered a 12% year-on-year increase in sales for the period January 01-October 31. Overgaz Iztok AD, which supplies natural gas to consumers in Burgas, Novi Pazar, Yambol, Stara Zagora, Nova Zagora and Karnobat and a part of Varna, boosted sales volumes from 6.5 to 7…. Montenegro is not likely to learn the date for its EU accession negotiation talks during the European Council summit on December 9, local media have reported. During Montenegrin Prime Minister Igor Luksic’s visit in Brussels, EU officials have revealed that a decision on the start of Montenegro’s accession talks will be most probably reached during one of the future summits. European diplomats that have pointed out that there are still ten more days left until the summit and that “not everything is over yet”, according to the Montenegrin Vijesti daily. Bulgaria’s Border Police has captured a total of nine illegal immigrants from Iraq and Syria in two unrelated incidents. Four illegal foreigners – three men from Syria and one from Iraq – were busted late Tuesday night at the Bulgarian border with Greece near Petrich, the Interior Ministry announced Wednesday. The four men were caught right before they were trying to cross from Bulgaria into Greece. Students from the High School of Natural Sciences and Mathematics ” Academic Nikola Obreshkov” in the Black Sea city of Burgas have won second place at the 2011 Princeton University Mathematics Competition, PUMaC. Several days ago, 8 students from the11th and 12th grades of the Burgas-based high school returned from the United States where they competed with teams from all over the world on November 19. The top performer in the group is twelfth-grader David Koychev, who won a medal and a fifth place in the individual ranking in the “Number Theory” category. You are currently browsing the Business, finances, forex blog archives for November, 2011.